As a leading home staging & rental company in Greater Vancouver, Ready Set Show helps homeowners, builders and realtors showcase the selling features of their homes, properties or listings with simple and effective enhancements to furniture, home accessories, home decor, art work and more. With a vast array of contemporary & modern furnishings to select from, Ready Set Show has everything you'll need to help sell your property quickly . 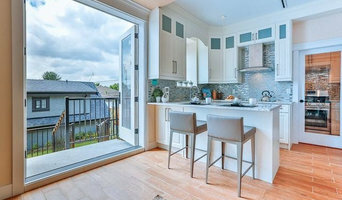 Ready Set Show home stagers & designers have over 25 years experience providing professional home staging, home redesign and interior design services to home owners, real estate agents and real estate developers in the Greater Vancouver area. We can help you sell your property, home or condo at the best price in the shortest period of time. 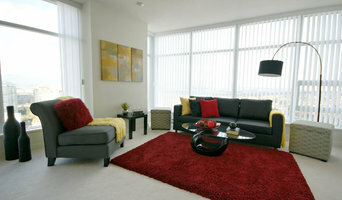 We are Home Staging & Redesign Professionals. We create unique & beautiful spaces that help the homeowner sell their home faster & for it's highest price! Private Property Staging defines space for size, function and purpose by positioning our expertly chosen inventory throughout a home. We guide the Buyers eye to focal points and features to form an emotional attachment which results in Buyers writing an offer on the property...QUICKLY! The warehouse at Private Property Staging is filled with furnishings, artwork, rugs and accessories used to highlight and enhance vacant homes. Our clients are Homeowners and Realtors that are looking to speed up and increase the price of the sale. As accredited stagers, we work closely with realtors to understand their target market, and stay on top of design trends to create a lifestyle that buyers can connect with emotionally. Welcome to AlignYourSpace home staging! Professional Staging for Professional People At AlignYourSpace, we specialize in preparing your home for sale, whether vacant or occupied. We can also help with downsizing and organizing. We provide a professional and enjoyable approach to helping you prepare for the sale of your home! What does a Port Moody home stager do? 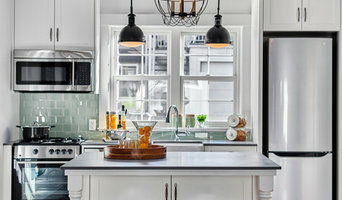 Home staging companies in Port Moody, BC employ a variety of different techniques to present the home in the best light possible. The first step will likely be to make sure the home is impeccably clean, including the exterior of the house. Next the home stager will work on removing the personal touches that are unique to the current owners. Paint colors might go from dramatic reds and purples to neutral tones like beige and taupe, in order to appeal to the masses. The home will likely be cleared of family photos, risqué artwork, collections and knickknacks, so potential buyers will be able to better envision their own life in the house. In some cases furniture will be swapped out, and you might not even recognize your own house. 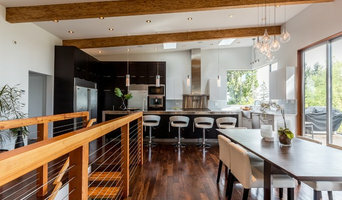 Some Port Moody home stagers tackle most of these tasks themselves, while others work with subcontractors and other professionals to get the job done. Here are some related professionals and vendors to complement the work of home stagers: Interior Designers & Decorators, Photographers, Real Estate Agents. The process of staging a home can be difficult for some homeowners, especially when being asked to change things you’ve poured your heart and soul into over the years; but try not to take anything personally, as the stager only has your best interest in mind and no intention of insulting your personal taste. Before you contact a professional home staging company in Port Moody, BC, make sure to consider a few things: Are you willing to change your home and take the advice of this professional to help sell your house? Do you think your house would greatly benefit from the help of a stager? How long are you comfortable having your home on the market? A staged home is likely to sell faster and, on occasion, at a higher asking price than a non-staged home. While there is no guarantee this will always be the case, it’s often true and can make the entire selling and moving process a lot less stressful in the long run. If you are selling through a real estate agent, it’s a good idea to get their opinion on whether staging your home would be beneficial to your specific situation. Find a certified Port Moody home stager on Houzz. Narrow your search in the Professionals section of the website to Port Moody, BC home stagers. You can also look through Port Moody, BC photos by style to find a room you like, then contact the professional who staged it.